It was Saturday, beautiful sunny day but not too hot. We started around 7.30 am to beat the morning rush on highway 401 as it tends to get very busy over summer weekends. We made a stop at Onroute, Trenton to use facilities and have a cup of coffee. As expected, there was a long queue at Tim Hortons and since we only wanted coffee, we bought coffee from another shop called Seattle something ( damn! forgot exact name). My wife had packed some sandwiches and one of my niece baked. We filled ourselves in and also planned for rest of the day. 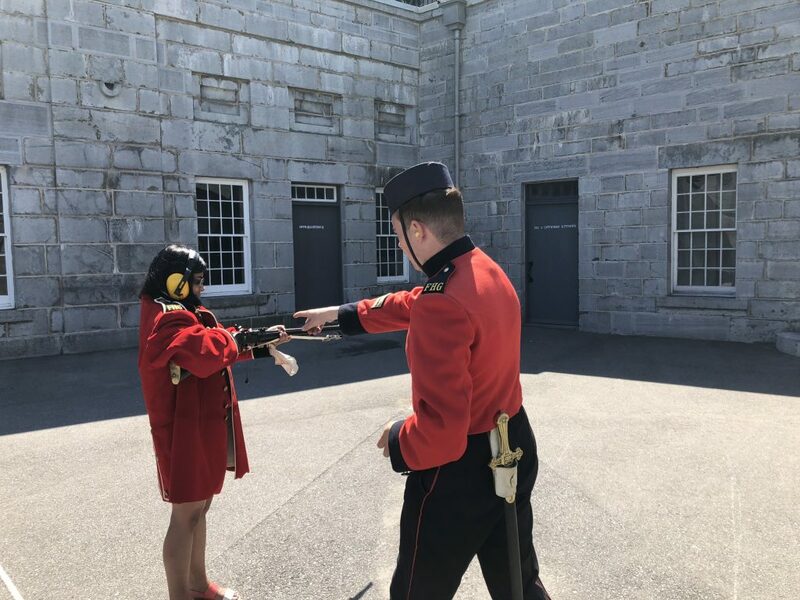 We reached Fort Henry at 11.05 am, bought tickets ($37.50 apiece for adult) and one ‘Fire-a-Rifle’ tickets for $20 that my daughter wanted to try. 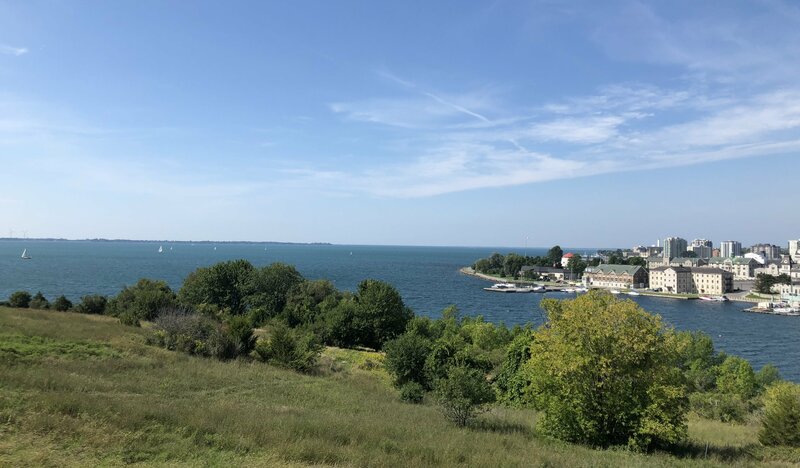 We also clicked photos, Fort Henry offer really nice view. Then we went in for a guided tour. Fire-a-rifle was fun experience as I can tell looking at my daughter. You get training on holding arifle, loading and unloading then firing three shells. If you succeed and you shout ‘Long Live the Queen’ you are recruited in Royal British Army wish it was that easy! We had lunch from leftovers in the car as we had quite a lot left from food we packed from home. “Understood, Sir” I nodded and we moved in. We took a round in less than 15 minutes and started for Gananoque. Once we reached Gananoque about 30 minutes drive from Fort Henry, we found the place swarming with people. We faced parking woes as all parking lots were full and we spent almost next 30 minutes going in circles. Luckily we had some time at hand. Eventually we found parking as previous tour ended and when people left. There was long queue to board the boat. It was quite hot and standing in queue was getting hard. Finally we boarded and got quickly in. As we were at front in the queue, we got ourselves good seats on the side. The boat trip was amazing and paid off all the sweat we had for parking and waiting in queue.